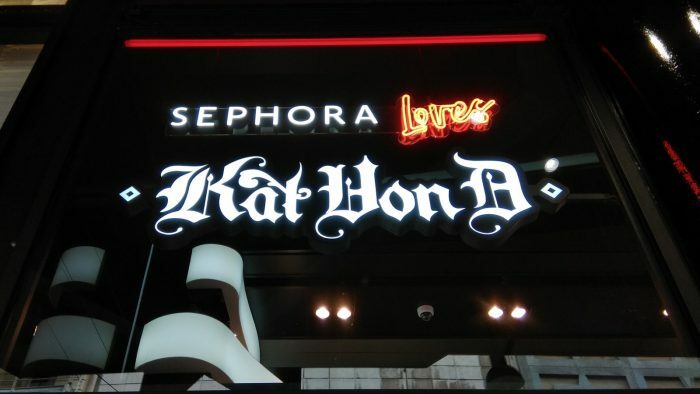 I also worked in the AR Makeup Mirror for Kat von D Beauty. 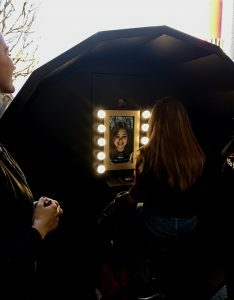 This was installed in the launch of the new Sephora flagship in Champs Élysées in Paris and also in Milan during the Milan Design Week 2017. 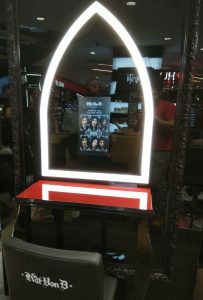 I collaborated in the project which is an interactive digital makeup mirror that tracked your face to render several makeup styles in real time, this was made using computer vision techniques. I developed a GIF capture and generator for the mirror, and a social media sharing system to share to everyone your experience.